We had several “official” Team EN members take on the Boston Marathon this year. This is despite our annual push to get folks not to run a marathon in your training — for some the siren call of Boston is too strong to resist! 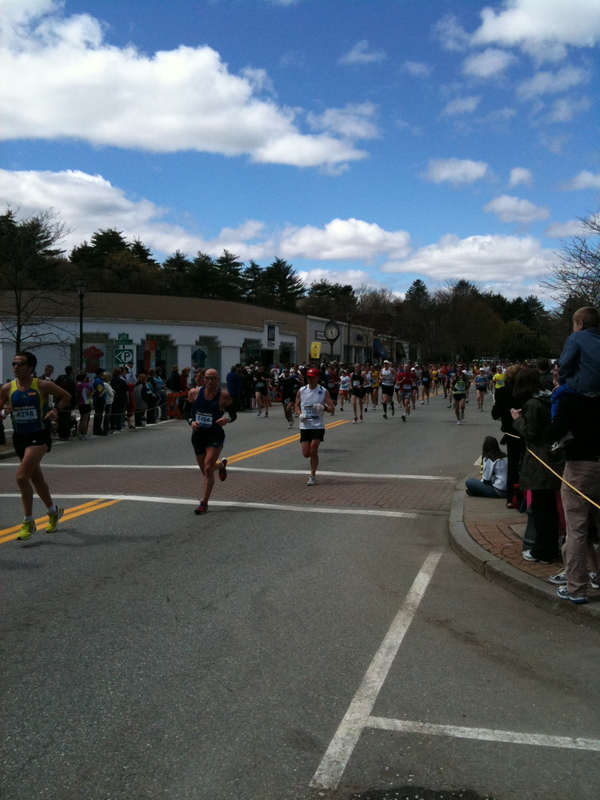 The runners had a great day, with perfect temps and perhaps just a bit too much wind — but nothing jaw-droppingly hard. That was reserved for the hills of Newton and the rolling terrain of Beacon Street beyond! Thanks to all of you: William, Michelle, Chris, Bryan, Matt, Amy, Todd, Bill, Keith & Linda and Mark who made it out to our Team Lunch on Sunday…I hope the food proved to be good fuel! Here are the numbers for the folks I saw, in alphabetical order. Great job by all on a pretty good / yet tough day. Boston is NOT an easy marathon course and you all did very, very well!!! !